These options allow you to customize your footer as well as add copyright and choose the Footer Layout. Footer Top Skin: Choose your individual skin setting for footer top. You can set footer top properties like typography, background color, link color options, margin option, and padding option. Footer Top Inner Layout: Choose your footer top layout boxed or wide. 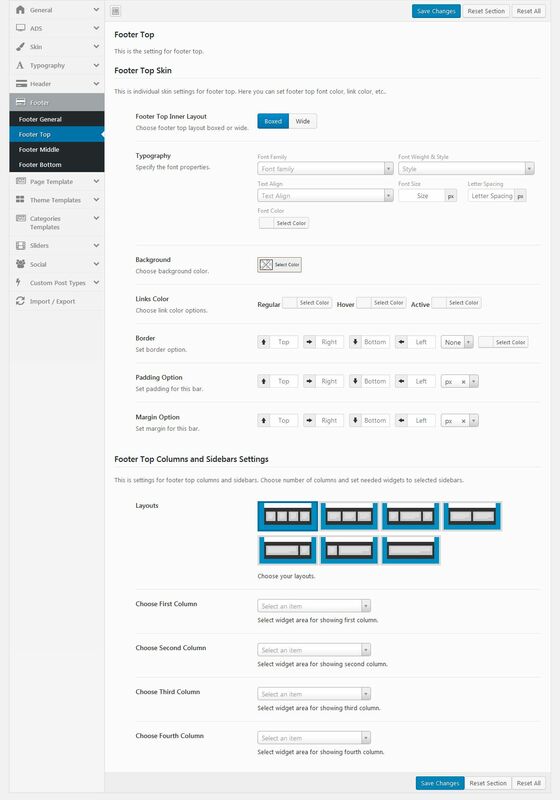 Footer Top Columns and Sidebars Settings: Choose your footer top columns and sidebars. Choose number of columns and set needed widgets to selected sidebars.